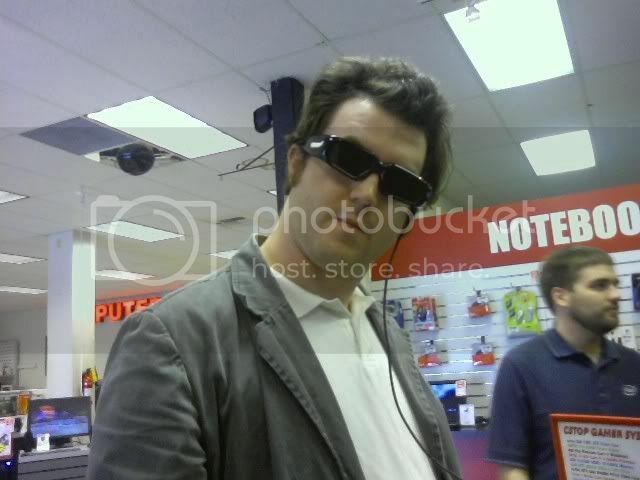 I wear my stunna glasses at Computer Stop, so I can, so I can, look at expensive 3D monitor effects in the afternoon. Meanwhile, I am going to Google I/O in San Fran as I am an Android Developer, and the company is paying for it. One of these years, I won’t end up going to a con unexpectedly. Oh, and someone did a video for an old song of mine that I should probably do fresh vocals on. NintendoNerr bevideoifies “He’s Homsar”. heh, you look exactly like Tim Heidecker. whoops, meant Eric Wareheim, my bad. If that is so, I need to lose some pounds in a big way.